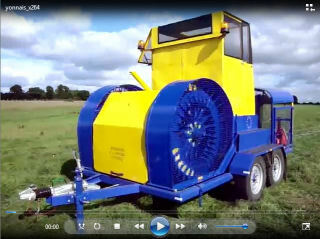 Click any of the images below to view video clips of Skylaunch winches in action. April 2016 - A Tost winch, fully re-engineered by Skylaunch was delivered to Ballenstedter Aeroclub e.V. Germany. We also have our own channel on YouTube with many more clips - Why not visit the page and subscribe to the channel to automatically receive news of the latest updates. November 2014 - Delivery of a new winch to LSV Bonn Rhein-Sieg e.V. 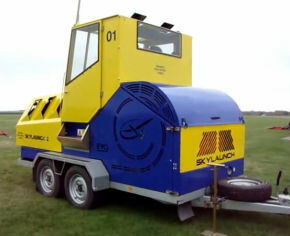 A new Skylaunch Evo twin drum winch (8.2 litre fuelled by LPG) is delivered to Bonn Rhein-Sieg e.V. This winch is using Dyneema cables. 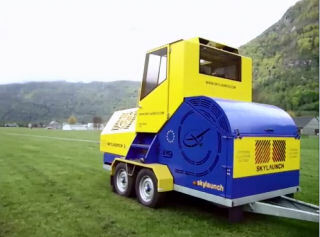 A new Skylaunch Evo twin drum winch (7.4 litre EFI engine fuelled by Petrol) is delivered to Luchon Gliding club in the beautiful French Pyrenees. 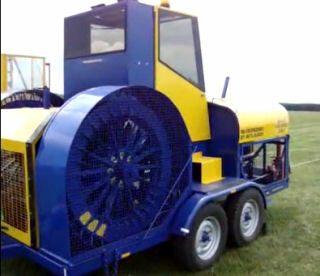 This winch is using Skyrope cable on their 800m airfield. On 16/04/2010 we have achieved in Reinsdorf, with 2400m Cable length, launches of over 1200m. 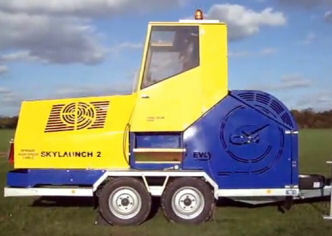 The winch was loaned to us by Skylaunch. We got very low price, excellent quality launches. Gille has had the briefing on the re-engineered winch and was enthusiastic about the new technology.